Over the last 12 months, the Greater London Authority has granted Aino Tytti unrestricted access to The Millennium Mills, a vast and decaying derelict mill site in London's docklands. The mills were decommissioned over 30 years ago and have since been left to decay and decompose, while all around it has been the focus of extensive urban regeneration. The building has long been a personal fascination for the artist, not only because of the field recording opportunities that such an epic scale of crumbling industrial architecture offers, but also as it stands as such an emotive statement on decay and regeneration in society. The project focuses on taking a series of field recordings within the mills, then using these recordings in post-composition to create a series of sound pieces. Traditional air mics were used, alongside more experimental recording techniques and equipment such as contact mics, geophones and hydrophones. This allowed harmonics, patterns, textures and resonances in the building and structural foundations to be revealed that wouldn’t ordinarily be heard by the ear. In addition to the field recordings, large PA rigs were installed in various locations throughout the mills and vocal harmonies from two collaborators were extensively recorded for later processing. Banks of pure sine tones were also played back within the vast halls and in the process of recording both, a focus was made on using the natural reverb/echos/harmonics of the building. This allowed Aino Tytti to use the spaces and silos as ‘instruments’ which could be played and tuned live, in harmony with the vocals and sine tones. The sound pieces are accompanied by a 17 page booklet of text and photographs, which explores the context and approach in detail. Drawing from a palette of processed field recordings and distant vocals, Aino Tytti creates shimmering, ethereal drones; fusing interlocking spirals of static and distortion into harmonic backdrops and intricately layered micro structures. Abandoning conventional tuning scales, location field recordings are taken with customised microphones and deconstructed using forensic audio techniques to reveal hidden accents and textures. The results are then layered and expanded using harmonic ratios, which are respectfully aligned with the environment in which the location recordings were taken. Part decaying and arresting, part hypnotic yet cerebral, a focus is made on the points of correspondence between hope and melancholia. Influences from experimentalists such as Popul Vuh, Arvo Part and Throbbing Gristle are smeared alongside contemporary futurists such as Alva Noto and William Basinski. The pop sensibilities of bands such as My Bloody Valentine and Sonic Youth are also often recalled. The term ‘soundsculptor' has surfaced in textura's pages before, but if it ever applied, it does so in the case of Aino Tytti and Millennium Mills, the Sheffield-born sound artist's second project for Touch. A bit of background is needed to appreciate what he's done here: the Greater London Authority granted him months-long access to the titular docklands site, its decaying visage already visible in Terry Gilliam's Brazil, Derek Jarman's The Last of England, and, perhaps most vivdly, Stanley Kubrick's Full Metal Jacket. Decommissioned more than three decades ago, the mills have slowly decomposed, even while urban renewal has taken hold around it. It doesn't take much to see its decay as a symbolic analogue to societal collapse of various kinds; it's also easy to understand the appeal that such a setting would present to sound artists working with field recordings. Not surprisingly, Aino Tytti's approach involved gathering such material (using air and contact mics, geophones, and hydrophones) at specific places at the site and then using them to produce a number of sound portraits. Supplementing those recordings are vocals by two collaborators, which, true to the spirit of the project, were captured at the mills rather than in-studio, and sine tones that likewise were played at the site to take advantage of the natural reverb, echo, and harmonics that would result. Throughout the forty-three-minute project, one hears him shaping such source elements into multi-dimensional constructions teeming with textural detail. One other thing's worth noting before turning to the recording itself: Aino Tytti is not the self-taught composer's real name; the moniker derives from the Finnish poem The Kalevala and literally translated means “the only daughter.�? How is this significant? Aino's story, it turns out, is rather tragic but hopeful, too, and the artist himself acknowledges that he draws for inspiration in his work from hope and melancholia. Both dimensions are present in Millennium Mills, specifically in the way at certain moments an impression of devastation is evoked, whereas in other places a powerful sense of recovery is suggested. An incredible sense of place is established, something aided considerably by the field recording details audible in “Observations from the nightwatch hut, late November�? and “These halls which used to breathe and sing.�? Sounds of birds, water, footsteps, winds, rattlings, and indeterminate rumblings are assembled in such a way that one can easily visualize oneself moving through the desolate locale and taking in its rotting forms. With wordless, at times anguished vocalizing woven into “England's last lies ruined,�? the harrowing material even begins to suggest a descent into Hades' hellish underworld; a more plaintive quality emerges during “First light, crepuscular loculus�? and “All that which was once lost�? in the way hazy choir-like intonations merge with thick masses of ambient-drone shimmer. The moment when the roar of a plane flying overhead punctuates the mournful vocalizing of “A requiem for Silvertown�? is one you'll likely remember after the recording's over. While it's obviously not conventionally musical in form, the composer has shaped the material in such a careful way that a quasi-musical flow is created. At a slightly larger scale, Millennium Mills exemplifies a somewhat symphonic character in the sequencing of the eight tracks, moving as they do (without pause) through distinct stages, and in its dynamic contrasts. If ever a recording demanded a high-volume, surround-sound presentation, it's this one. In 1992 or thereabouts, I spent a night on the river with the London based American artist Mary Lemley. She was working on These fragments we have shared against our ruins, her project named for a line in The Waste Land that marked the hidden tributary rivers of the Thames, and she had hung great bolts of cloth, marked with iron oxide powder, into the river. As the tide rose, the cloth stained and it was our job to haul these wet fabrics to our studio on the river, situated in a disused railway shed situated possibly on the Isle Of Dogs. With the great garage doors open we could see the lights of the shores studding the old and disappearing shores of London’s Docklands. It was exactly that shapeshifting vision of the city’s past-present-future shoreline that has stayed with me, and it’s also a reason why i’m finding Millennium Mills so hard - sonically speaking - to put down. 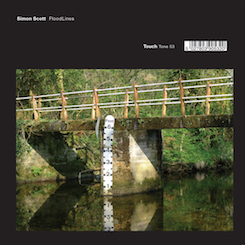 Released by Aino Tytti, a Londoner since his transplant from his native Sheffield, the album is a collection of sonic responses to the Millennium Mills. Coming after a project that involved recording an Icelandic transmitter station at the Snaefellsness peninsula, this is his second large scale tilt at the very quiet. In this case, the venue is a derelict Victorian flourmill, a huge and hulking building in Silvertown, a Docklands area ripe for re-rendering into soulless dwellings for international property speculators. Gaining access to the mills, Tytti has made a series of subtle recordings of the empty - though sonically reflective - spaces of the 63 acre complex. New sonic resonances have been created by virtue of microphony, of reverberations coming from sound sources emanating from the railway close by and, at some points megaphones placed some floors below the recording apparatus. 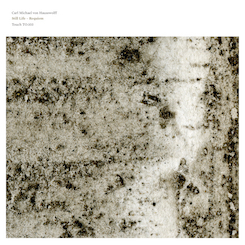 Tytti doesn’t go as far as Howlround, those biographers of Bush House and other venues, in his sonification of emptiness, but this eight track album does approximate music at certain points. It’s possible that a voice has been multitracked to create an ethereal chorale for a changing city. Geographically speaking, the Docklands’ coalescence of history and space has long attracted artists of various types - William Raban and Derek Jarman’s films come to mind, as does Rachel Whiteread’s inside-out sculptural house and Jem Finer’s Longplayer. This latter work was situated at the nearby Trinity Buoy Lighthouse and programmed to play for a thousand years - as if this conceit of permanence could somehow stop the onslaught of reinvention. Millennium Mills fits nicely with such works; it is a wholly appropriate and elegiac response to our time. Over the last 12 months, the Greater London Authority has granted Aino Tytti unrestricted access to The Millennium Mills, a vast and decaying derelict mill site in London’s docklands. Kate Carr reviews the resulting album, available now as a digital download via Touch. If you are a careful listener, you will have noticed that buildings all sound a little different. As the Finnish architect Juhani Pallasmaa observes: “Every building or space has its characteristic sound of intimacy or monumentality, invitation or rejection, hospitality or hostility.�? The echo of an empty house bares little resemblance to the sounds of a furnished home; the abandoned factory resonates differently to the functioning one. In his majestic Millennium Mills composer and field recordist Aino Tytti is firmly focused on the resonance of empty spaces, the sounds of absence, abandonment and decay. The album is the result of 12 months spent recording in the Millennium Mills, a now derelict former flour mill located in London’s Docklands precinct, with Tytti utilising conventional mics as well as geophones, hydrophones and the rebroadcast of vocals and sine tones within the space to capture its echoes, vibrations and hidden soundscapes. The result is an extraordinary document which, given the mills are set to be transformed into a centre for start-up businesses as part of a sweeping redevelopment, may stand as the final record of the site. Many of us are fascinated by industrial ruins. They are uncanny, deeply mysterious places; sites out of time, out of step with their surroundings. In The Aesthetics of Decay Dylan Trigg writes that one of more subversive aspects of industrial ruins is that they exist as objects ‘fallen from [their] supposed permanency’. These are failed sites, sites which have outlived their usefulness, sites which exist now only to slowly crumble away before our eyes, or so we think until one day they are shockingly gone, bulldozed in mere hours. With track titles such as ‘England’s Last Lies Ruined’, ‘A Requiem For Silvertown’ and ‘These Halls Which Used To Breathe And Sing’, Millenium Mills is a deeply nostalgic album which leaves the listener in no doubt of Tytti’s affection for these decaying buildings, and dismay at their pending demolition. But it is also full of surprises. The opening piece ‘Observations From The Nightwatch Hut, Late November’ is all delicately vibrating tin roofs, footsteps on wooden floors and beautifully utilised snatches of walkie talkie exchanges. ‘These Halls Which Used To Breathe And Sing’ opens with the squawks of seagulls before plunging into a reverie of creaking bass, shimmering vocals and bursts of static, while ‘Silo D’ celebrates the sheer theatricality of the reverb which can be found in vast empty buildings using vocals broadcast within the silo, and a performance consisting of wonderfully startling baritone blows, and what sounds like the careful scattering of small pieces of metal. In Acoustic Territories: Sound, Culture and Everyday Life sound theorist Brandon LaBelle discusses the ways sound is continually shaped and re-shaped as it moves through specific architectures, landscapes, buildings and geographies. In his words this characteristic of sound means it never ‘forgets’ all the surfaces, bodies and other sounds it brushes against. In Millennium Mills, part tribute, part lament, Tytti gives us a striking example of some of the compelling ways sound helps us to remember. In London’s Docklands there lies now derelict flour mills of the 20th century – The Millennium Mills. These mills form the backdrop, field recording wise, of this wonderfully spacious new album by Aino Tytti – Millennium Mills. Given access to the mills by the Greater London Authority, Tytti set up a selection of microphones and various amplifiers within to capture not only recordings of the decaying buildings but also to record tones and beautiful operatic voices played directly into the halls. Re-recorded in a way that brings them very much within reach. In fact, there are points within this album where the distance between you and the locations of its recordings just evaporate, you are transported directly into the dusty buildings with nothing but the rain lashing against their exterior for company. That same rain washing away the mills original purpose to create vast halls that now house these ghostly operas. Beautifully recorded and balanced, everything is allowed its own space to breath. Nothing feels rushed or cluttered. Millennium Mills tells a story or the years between the mills being used to process flour and the final breeze that cleared out the last remaining piece of dust. The album comes packaged with a 17 page PDF containing information about the recording process along with photos of the area – the new encroaching on the old. Some bits of which are steadfastly refusing to move, not giving an inch, as if forcing the people in the ugly new houses to remember what went before.